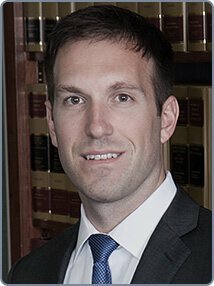 Daniel joined The Armstrong Law Firm, P.A., with his wife, Eason Armstrong Keeney, in September 2015. Prior to joining, Daniel worked for an international law firm specializing in corporate litigation defense. Daniel represented clients on matters involving construction defect, car wreck, personal injury, property damage, as well as business disputes. Through this experience, Daniel has gained valuable insight into how insurance companies handle claims, and how businesses approach litigation. Daniel graduated from the Honors College of Indiana University before heading south to continue his legal education at Wake Forest University School of Law. Although not born in the “south,” Daniel chose to make North Carolina his home. Daniel excelled at Wake Forest, earning the highest grade in his trial practice class and receiving praise from his professor as “the best student advocate I have ever seen.” Daniel was also awarded the CALI Award for Excellence and the North Carolina Advocates for Justice Award for being the most outstanding trial advocate. Daniel has always aspired to be a trial attorney that would fight for­­­­ others’ rights. Daniel is committed to helping you solve your legal problem, and he will be “Strong for You” as he works hard to get you everything to which you are legally entitled. Daniel represents clients that have been harmed through a car wreck, personal injury, business dispute, insurance company’s refusal to pay, fraud, property damage, as well as other civil disputes. Daniel works alongside his wife, Eason Armstrong Keeney, and his “in laws,” L. Lamar Armstrong, Jr., Marcia H. Armstrong, and L. Lamar Armstrong, III at The Armstrong Law Firm to serve people in North Carolina that need help with a legal problem. Daniel is an active member of the North Carolina Advocates for Justice and the North Carolina Bar Association.